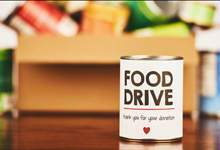 The municipalities of St. John’s, Conception Bay South, Mount Pearl, Paradise, Portugal Cove-St. Philip's, and Torbay are holding a regional food drive throughout the month of February during winter festival events. In response to the recent fire at the Community Food Sharing Association warehouse, residents are encouraged to help re-stock the food bank by donating non-perishable food items when attending a community event in February. Participate in the regional food drive and show your support on social media using #nlfooddrive. Donations to the Community Food Sharing Association can also be made online.